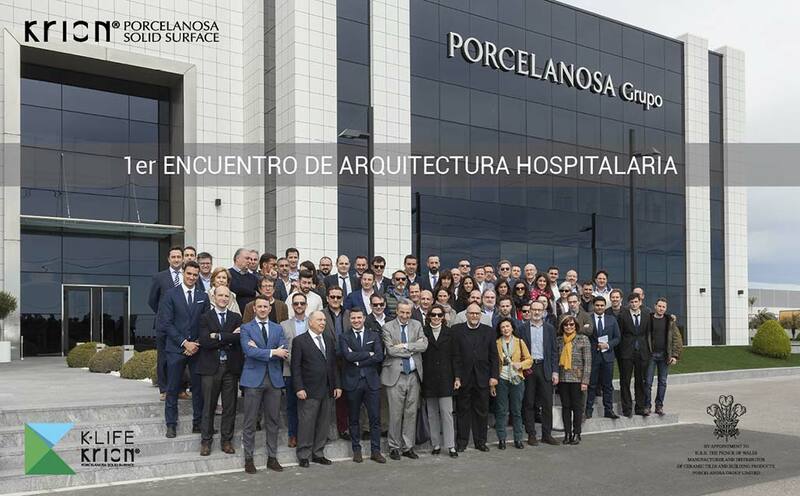 On the 22nd and 23rd of March at PORCELANOSA Group, the 1st Hospital Architecture Conference took place. The eight firms which make up the Group presented the latest advances in systems for hospital architecture, with KRIONK-LIFE receiving great interest from our visitors. To conclude, there was a round table in which experts Albert Pineda, Cristina Granados, Reinaldo Ruiz and Juan Casariego participated, with Antonio Burgueño as moderator. The theme was “Architecture vs Medicine. Is the modern hospital an effective tool in medicine?”. At KRION, we would like to take the occasion to thank attendees for their time and their interest in our materials KRION Lux and K-LIFE.